Microsoft says the launch of Kinect and the redesigned Xbox 360 will help ensure that the console will be around for "at least another five years." The Xbox 360 has already been around for five years, which is roughly the same amount of time its predecessor, the original Xbox, was on the market before the 360 made its debut. The span between the launches of the PlayStation 2 and PlayStation 3 was similar. But Microsoft is apparently expecting a lot more from this console, as Chris Lewis, Microsoft EMEA's vice president of interactive entertainment business, said the addition of the Kinect motion controller will help power the system through another half-decade. "I think 2010 will be a very big year for us, it is in many ways for us mid-lifecycle," he told GamesIndustry. "What you've seen is with this new sleek design and Kinect for Xbox 360 we've got at least another five years of this generation where we continue to offer great experiences for people." "Our business ambition for this financial year, which begins on July 1, is certainly bigger than last year and we constantly set ourselves ambitious targets," he added. "[Senior Vice President of Interactive Entertainment Business] Don Mattrick is not shy about aggressive targets for Europe because he now knows we've got the right assets, now more than ever, to really appeal to our audience." Of course, Microsoft has been saying that the 360 will have a "long tail" for at least two years, prompted in part, I'm sure, by Sony's assertions that the PS3 has a planned ten-year lifespan. 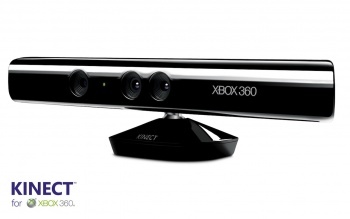 With or without Kinect, five more years doesn't seem like such a dubious proposition at this point.